I hear that many of the applicants we interview still have a hard time with FizzBuzz and other simple examples of looping, testing, and printing integers. This was true in 2007 when Coding Horror wrote this a famous blog post on Fizz Buzz, true in 2010 when DanSignerman famously asked StackOverflow about it, and true in 2017 when Hannah Ray answered the same question again on Quora. And today in 2019 I watched a video by Lets Build That App that explained how do solve FizzBuzz using fancy features of Swift 5. So, yes, by external and internal validation FizzBuzz is still hard for software developers in an interview context to perform on demand. In a quiet room with a clear set of requirements FizzBuzz is no problem. But under the pressure of an interview where the spotlight is on every misstep on the whiteboard FizzBuzz becomes something like the Great Filter of Software Interview Questions—Maybe we have not found intelligent life out in the stars because alien civilizations can’t pass the job interview! Filtering numbers (so you can print “fizz” on multiples of 3 and “buzz” on multiplies of 5) is great for making sure you understand how language features work and that division by zero is bad. Filtering numbers was probably a meaningful interview question in the 1980s and 1990s, when I learned to code, because it was a major pain with Assembly, C, and C++ (but not LISP). Today’s languages like Java, C#, Swift, Kotlin, and Python take all the challenge out of FizzBuzz. The new Swift 5 language feature, isMultiple(of:) doesn’t even crash when you give it a zero! Where is the fun in that? And who knows if this advanced Swift switch statement with assignments as case expression is executing in constant time or blowing up the stack? And yet many software developer interviews crash and burn on the FizzBuzz question! I think it’s because as team leads and employers we are rooted in the past. More and more code is being written from well engineered frameworks and yet we act is if knowing everything from first principles at the start of a developers career is critical for success. It’s not. A good developer matures over time and has to start somewhere. There are better tests than FizzBuzz for filtering integers and engineers. It’s best to look for potential, the ability to learn, work well with others, and passion for coding, when interviewing candidates! 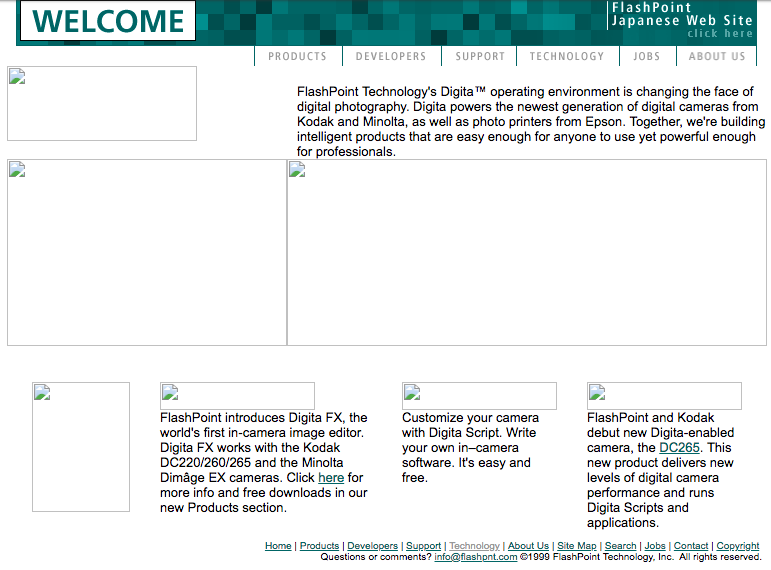 Mobile apps were in a similar state a decade ago. The costs were small as compared to full featured desktop and web applications and there wasn’t much a mobile app could do that a simple table view controller couldn’t do. A lone mobile dev toiling away in the wee hours of the night could get almost any app ready for release to any app store in a few weeks. Back then most mobile apps were under the constraints of low-powered processors, limited memory, and ephemeral battery life. These constraints required mobile apps to be more like single-purpose widgets than multifunction applications. Today it’s a more complex world for web and mobile apps. We have seriously sophisticated tech stacks that include the Cloud, HTML5, and advanced mobile operating systems that target screens of every size and devices without any screens at all. We don’t create websites or apps, we build multi-sided networks with so many features that vast teams of developers, scrum masters, product managers, designers, data scientists, and service reliability engineers are required. In the modern world of 2019 no developer works alone in the wee hours of the night. In my own work as a software developer and software development leader I’ve seen the rise in complexity and cost hit web and mobile development hard. GDPR, PII, COPA, OWASP, and other standards have added hundreds of dollars of cost to the development of iOS and Android apps. So has the proliferation in diversity of mobile devices. Are these pocket super computers with super high-resolution screens, prosumer cameras, always-hot microphones, machine learning chips, GPS, motion sensors, and unlimited cloud storage still phones? I don’t think so. Some are as big as coffee table books and others can be strapped to a wrist. When they start folding up into intelligent origami I don’t think we can call them phones anymore. If you are not a developer, imagine trying to writing a book for new kind of paper that can change its shape, size, and orientation at a reader’s whim. Sometimes this paper has no visual existence and the user can choose to listen to your writing instead of reading. This protean piece of paper has all sorts of sensors so you, as the author, can know in real time where you reader is and what your reader is doing (if your reader accepted the EULA). How do you write a book for paper like this? 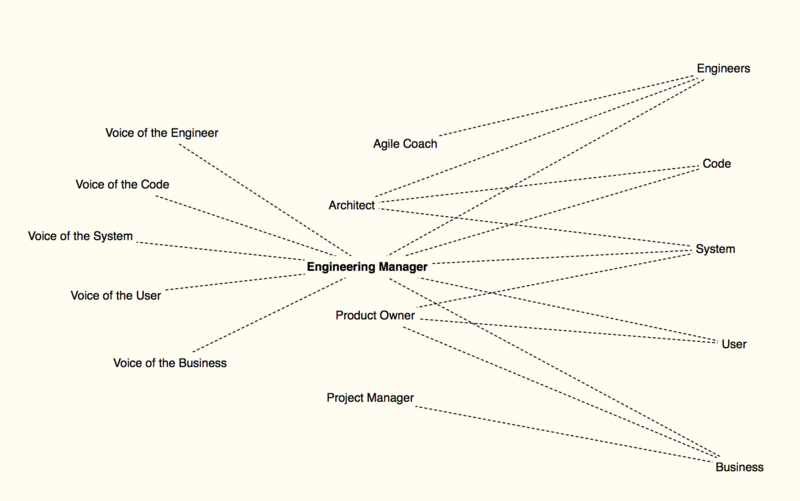 It refuses to be any one thing and requires you, as the author, to image every possible configuration and situation. This is what software development is like today! With 5G, Blockchain, AR/VR, and AI just around the corner the business of web and mobile development will become an even more unconstrained hot mess. 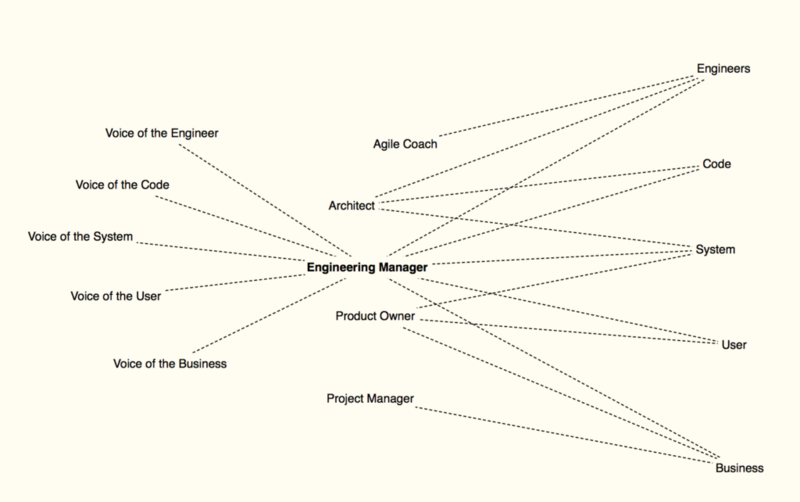 As developers we have gone from being lone wolves working independently to two-pizza teams collaborating in agile to multiple feature teams networked globally. It’s all we can do to just keep up with advances in hardware, software, operating systems, communications, and regulations. We, as an industry, have not recognized the costs of software eating the world. The hidden costs and ignored costs of crafting software for consumption on the Internet has grown non-linearly and I don’t think it’s stopping anytime soon. These costs are disrupting almost everybody everywhere. It’s gotten so bad that the generally favorable view of the Internet has soured. So there are a few things we need to do! Hold honest conversations about the costs of open and connected Internet software. We can’t keep throwing apps out into the wild and expect them to be safe and reliable. Cloud computing has solved this problem for the backend services as we now accept that servers are not pets and because we aggregate the costs and leverage expertise of giants like Google, Amazon, and Microsoft. While we have learned to treat servers like machines, we still treat apps like pets, grooming them and agonizing over their look and feel while ignore our duty to make sure these apps are not vectors for malware and malcontents. We need new software development tools and services that give cloud-like benefits to the mobile side. I’d love to have a CodePen or a Glitch for native mobile apps that aggregate costs and expertise required for responsible mobile app development. Apple and Google should not only give developers open SDKs and dev kits but something like a Swift Playground that we can release enterprise and consumer apps on top of. Yes, I’m asking Apple and Google to be gatekeepers, but we’re too irresponsible to abandon gatekeepers. Finally, I would like to see a return to physical books, newspapers, and encyclopedias (insert your favorite old-school media product here) for the public mainstream use case. Digital-only isn’t yet the best way to communicate and express ideas for the commonweal. A paper publisher can at the very least assure us media experiences without any Momo Challenges inserted between the pages. Even more importantly a paper publisher has a name, an address, a phone number, and a way for us to legally hold them responsible. We shouldn’t put the digital genie back in the pre-Internet bottle. We should be extremely realistic about the costs and responsibilities of developing software applications that users must depend on and trust. 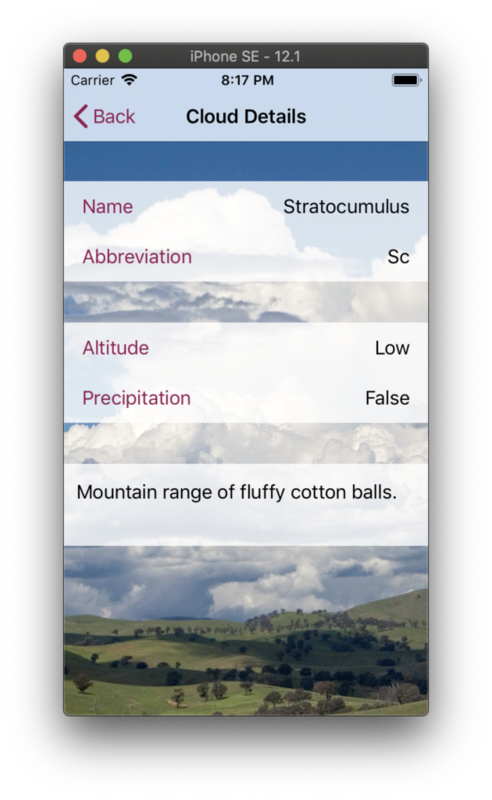 I wrote a tutorial that demos how to use a couple of UITableViewControllers, a segue, the Storyboard, a simple model, and as little code as possible to create an iOS app. You’ll find the code and a very detailed README on Github. It’s open source and I hope you find it useful. My comic book collection iOS app continues to evolve. I continue to strip out features and focus on the core mission: Buy a comic, snap a photo, add it to your collection. The Summary View displays a scrolling list of series. Each series displays the covers you have photographed. Right now I’m using placeholder covers–I don’t actually own the original Superman comics from the 1930s! 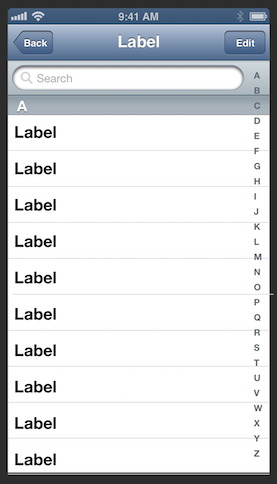 This is all built with standard UIKit UIViewController and UICollectionView. I’ve added a custom UICollectionReusableView for the header of each section (series) and for the last cell of each collection I’m using a custom UICollectionViewCell. I sort the comic book covers in each section by ID, which is a mashup of issue number and variant string. I sort these strings using localizedStandardCompare so that issue 2a comes before issue 20. I love localizedStandardCompare because I didn’t have do any work to solve the thorny “sort strings with numbers and letter as if they are numbers” problem. The custom collection reusable view is mostly there to display the publisher, name, and era of a comic book series but also to host an edit button that brings up an EditSeriesPopoverView. Popover views are cool but no longer supported as a presentation type by UIKit so you have to manually display them. I use a UIVisualEffectView to blur out the background behind the popover. I love it when I don’t have to write code! Each detail view displays a large image of the comic book cover photo and some metadata around it. The UISwitch sets the alpha of the cover image to 0.3 if false and 1.0 if true–this give you a nice visualization of what you still have in your collection and what you have sold. The Edit button brings up the EditIssuePopoverView. I’ve figured out how to pass functions so that I can reuse popover views from different buttons: add an issue vs edit an issue. That’s very cool and has ramifications for how hardcoded view controller need to be to views. This app looks nothing like my initial conception and has far less functionality than I thought I needed. I find this to be true with most apps I download. They do too much and don’t focus enough on their core use-case. Too much scope means the value of an app is diffused like the pixels behind a UIVisualEffectView. As always you check out my code on GitHub! 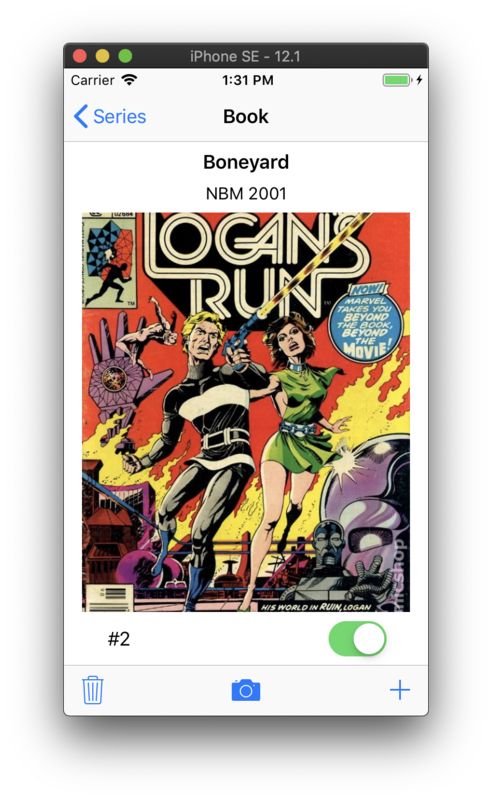 I’m working on a hobby project iOS app that lets me track my comic book collection. I’m interested in comic books because all these super heroes from my misspent youth rule the world of popular culture. While the cool kids were playing sports and going to parties I stayed at home reading comic books. In college I stopped and found other things to do (computer programming, talking to humans, MTV). But now in the September of my life comic books are back and grip our imaginations tightly with their mutant powers. I wanted to get back to the source. Where did all this cultural power come from? As I started buying physical comics again I realized I needed to track these objects of my affection on my phone. And I bet there are already dozens of apps that do this but I like to create my own tools. Book Binder is the app and you’l find the code on GitHub. Book Binder is an iOS app with a web backend. It’s an enormously long way from finished. I have lots of parts of it to figure out. The two current big problems are that comic book publishers can’t count and the number of comic books published is huge. Comic book publishers can’t count! Let’s take the case of Daredevil. One of my favorites as a teen and now a big show on Netflix. For reasons that are beyond comprehension (probably marketing) Marvel has restarted the numbering of the “man without fear” 6 times! Daredevil #1 was published in 1964, 1998, 2011, 2014, 2015, and 2017–and I don’t mean republished (that happens too). Daredevil #1 from 1964 is a completely different comic book from all the other Daredevil #1s in the five succeeding years! At one point Marvel tried to fix the problem with “legacy numbering” and that’s why the current series of DD started with #598 in 2017 instead of #29. I have no doubt in my mind that Marvel will start over with Daredevil issue #1 soon. The other counting problem created by comic book marketing is variant issues with different covers. The most recent issues of Doctor Strange may or may not be published with different covers for the same issue. Collectors apply letters to each variant but Marvel doesn’t seem to have official variant designations. I have Doctor Strange #2 variant edition, legacy #392, second printing. I’m not sure how many variant editions were published or what the variant letter for each edition should be. The number of comic books published is huge! How many issues of Daredevil or Doctor Strange have been published since the 1960s? It’s hard to say. I estimate between 400 and 500 for Doctor Strange but I’m probably not including annuals, specials, team ups, side series, and all the variants. So let’s double that to 800 to 1000. And that’s the “master of the mystical arts” alone. If Marvel has around 200 books and DC has the same then we’re looking at a lower bound of 320K and an upper bound of 400K just for the two majors. Some of DC and Marvels comic books started in the 1930s and 1940s. If we include those and all the indy publishers (like Dark Horse) and all the publishers who have disappeared (like EC) then I’m going to estimate 1.6 million to 2 million unique comic books published in the USA. It’s really hard to say because it’s hard to know where to draw the line with publishers and if certain reprints should be included. 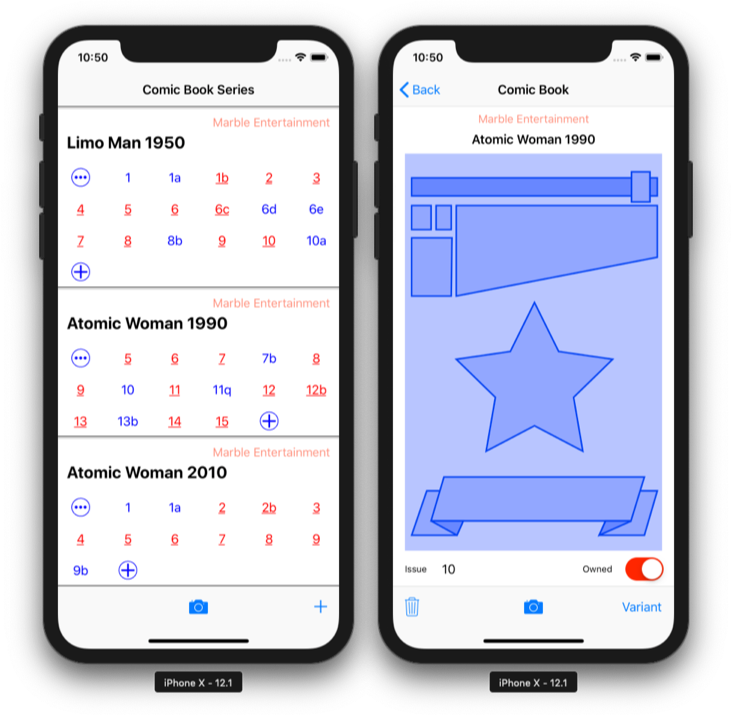 In any case I’m not going to be able to store more than a fraction of the millions of published comic book metadata representation in a phone. 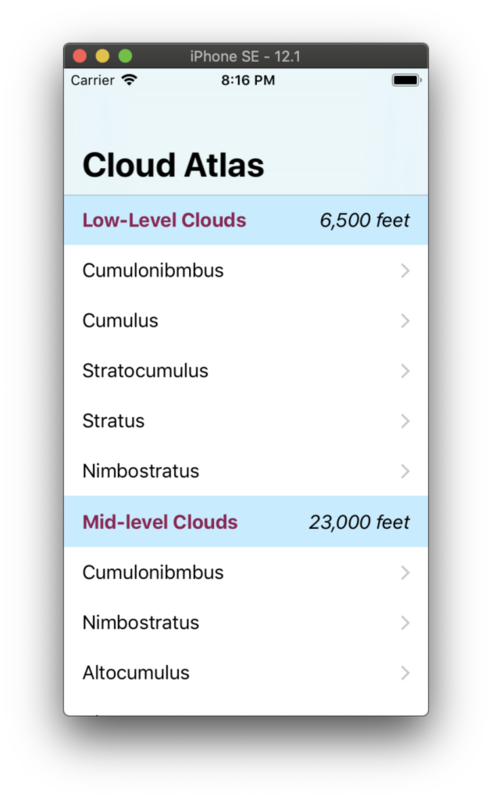 At best I can store a slice of this data locally and using any one of the big clouds to keep a shared catalog. I just want all this info to be quick to access, cheap to store, and easy to reconcile. Let me tell you, creating an app, on my own, as a hobby project, is fun but hard. Like climbing a rock wall (which I would never personally do) you make a lot of false starts and have to retrace your steps trying to find a path forward. This is where my unit test have helped. No, not helped. Made everything possible! I started with three or four data structures. I’m testing out ideas and changing my mind as the idea do or don’t pan out. I’m not afraid to make large scale changes to my code because every function of every class has unit tests to make sure that if I break anything I can fix it. Today I realized I had to take a big step back. I could not instantiate a comic book collection from a list of comic book URIs. I also realized I was storing state info in the comic book URIs which would not scale with millions of books to track. I finally realized that I had to enforce consistency in the formation of my comic book URIs (they all have to have four slashes). This way I could tell if a URI was mangled or incomplete. I had to touch every one of my six major object that support my app… And I did! With Confidence. Once I removed state from my URIs and got all by unit tests to pass I fired up the app–and it worked fined. I had not added any bugs or broke any functionality. Whew! If I didn’t have unit tests I’d be afraid to touch the code. I would be much more respectful of the code and I once I got some part of it to work I’d leave that part alone. As this is a lonely hobby project, I’d get stuck, give up, and move on to something easier. Even with commercial software, with large teams of expert programmers, lack of tests and fear of changing the code, results in most software projects falling behind, abandoned, or just buggy. I was sold on unit tests and Test Driven Development before and I’m resold every day I write code. I don’t care if you write the tests before or after the code that makes them pass (I do a bit of both). Just write the tests–especially if you are writing code for self-driving cars or robot military machines. Let’s power up the time machine and take a quick trip back to the wide world of tech around 1998. Microsoft was the Khaleesi of software and controlled a vast empire through Windows, Office, and Internet Explorer. Microsoft marched its conquering army of apps over the desktop and through the Internet with innovations like XMLHttpRequest, USB peripherals, and intelligent assistants. All three of these innovations would go on to fashion the world we live in today with websites that look and feel like apps, devices that plug and play with our computers and phones, and helpful voices that do our bidding. 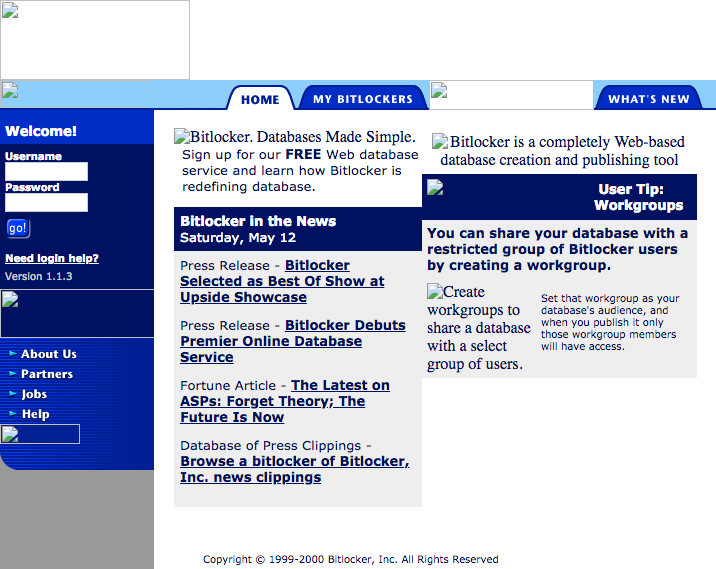 But back in 1998 these groundbreaking technologies were siloed, incompatible, and unintuitive! You’d find that fancy web apps were usually tied to a specific browser (Walled Garden). You’d buy a USB mouse and often find that it couldn’t wiggle your pointer around the screen (Standard Conformance). You’d grow frustrated with Clippy (aka Clippit the Office assistant) because the only job it could reliably do was “Don’t show me this tip again.” (Poor UX). And this is exactly where we are in 2018! Still siloed, incompatible, and unintuitive! Do you want to run that cool app? You have to make sure you subscribe to the wall garden where it lives! Do you want your toaster to talk to your doorbell? Hopefully they both conform to the same standard in the same way! Do you want a super intelligent assistant who anticipates your every need, and understands the spirit, if not the meaning, of your commands? Well, you have to know exactly what to say and how to say it. The difference between 1998 and 2018 is that the stakes are higher and the world is more deeply connected. Products and platforms like Apple’s iOS, Google’s Cloud IoT Core, and Amazon’s Alexa existed in 1998–they just couldn’t do as much and they cost a lot more to build and operate. In between 1998 and 2018 we had a digital mass extinction event—The dot com bubble burst. I was personally involved with two companies that didn’t survive the bubble, FlashPoint (digital camera operating system) and BitLocker (online database application kit). Don’t even try to find these startups in Wikipedia. But there are a few remains of each on the Internet: here and here. Today, FlashPoint would be reincarnated as a camera-based IoT platform and BitLocker would sit somewhere between iCloud and MongoDB. Yet the core problems of silos, incompatibility, and lack of intuitive control remain. If our modern day apps, IoT, and assistants don’t tackle these problems head-on there will be another mass extinction event. This time in the cloud. Let’s take a look at the post-dot com bubble burst world for some clues on how to prevent the next extinction. After the startups of the late 1990s died-off in the catastrophe of the early 2000s the designers, developers, and entrepreneurs moved away from silos, proprietary standards, and complicated user experiences. The modern open standards, open source, and simplicity movements picked up steam. 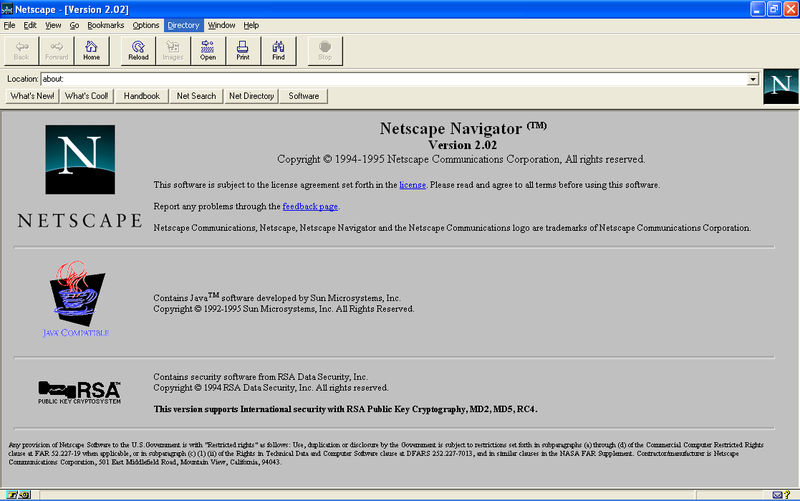 It became mission critical that your cool app could run inside any web browser, that it was built on battle tested open source, and that no user manuals were required. Users found they could buy any computer, use any web browser, and transfer skills between hardware, software, and services. This dedication to openness and interoperability gave great results for the top and bottom lines. Tech companies competed on a level playing field and focused on who could be the most reliable and provide the highest performance and quality. Google and Netflix were born. Apple and Amazon blossomed. Contrast that with the pre-bubble burst world of 1998 (and 2018) where tech companies competed on being first to market and building high walls around their proprietary gardens. If we want to avoid the next tech bubble burst (around 2020?) we need Apple, Google, Amazon, and even Netflix to embrace openness and compatibility. Users should be able to talk to Google, Siri, and Alexa in exactly the same way and get similar results (UX transferability). Users should be able to use iOS apps on their Android phones (App compatibility). Users should be able to share connected and virtual worlds such that smart speakers, smart thermostats, and augmented reality work together without tears (Universal IoT bus). 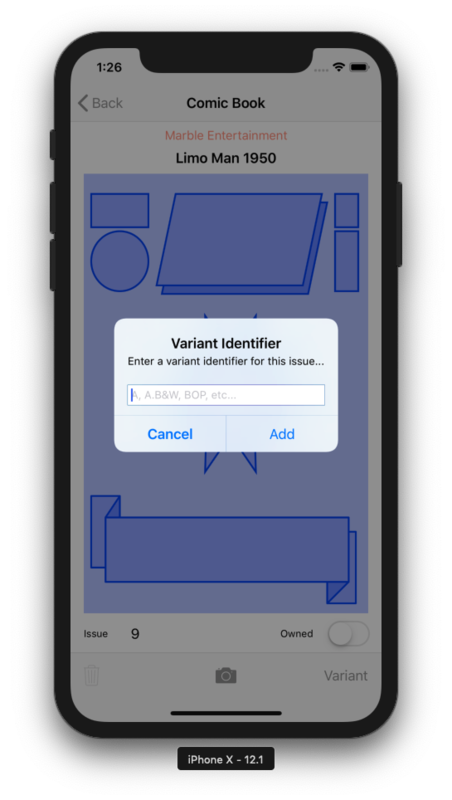 Flutter and Material Design improvements that that work as well on Android as they do on iOS. AR “cloud anchors” that create shared virtual spaces between Android and iOS devices. But sadly Google mostly announced improvements to its silos and proprietary IP. I’m sure at the WWDC next month Apple announce the same sorts of incremental upgrade that only iPhone and Mac users will benefit from. Common wisdom is that Apple’s success is build on its proprietary technology from custom chips to custom software. This is simply not true. When I was at Apple in the 1990s success (and failure) built on a foundation of standards, like CD-ROM, USB, and Unicode. Where Apple failed, in the long run, was where it went its own incompatible, inoperable, way. In the 1998 the macOS was a walled garden failure. In 2018 macOS is a open source BSD Unix-based success. More than Windows, more than ChromeOS, and almost as much as Linux, macOS is an open, extensible, plug and play operating system compatible with most software. Maybe… or rather eventually. Every up has its down. It’s one of the laws of thermodynamics. I remember reading an magazine article in 2000 which argued that the dot com boom would never bust, that we had, through web technology, reached escape velocity. By mid-2000 we were wondering if the tech good times would ever return. Of course the good times returned. I’m not worried about the FAANG companies surviving these bubbles. Boom and bust is how capitalism works. Creative destruction as been around as long as Shiva, Noah, and Adam Smith. However, it can be tiresome. The secret to avoid replatforming is to build on top of open standards and open source. To use adaptors and interpreters to integrate into the next Big Future Gamble (BFG). macOS is built this way. It can run on RISC or CISC processors and store data on spinning disk or solid state drives. It doesn’t care and it doesn’t know where the data is going or what type of processor is doing the processing. macOS is continuously adapted but is seldom replatformed. To make progress, to truly move from stone, to iron, to whatever comes after silicon, we need to stop reinventing the same wheels and instead, use what we have built as building blocks upon which to solve new, richer problems, to progress.